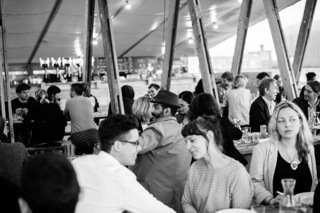 Frank's Cafe in Peckham is open Thurs - Sun every week, but now chefs are hosting special bookable nights on Tuesdays, organised by Eat Peckham. This started in late July (I've only just found out) and there are three more planned. It's great that people are using the space on other days, and it's great to to be able to go to Frank's and book!